"A sweet girl, but hopelessly violent." Looking at this image you'd never guess Akane believes that any good relationship involves punching your partner so hard he flies up into the sky. 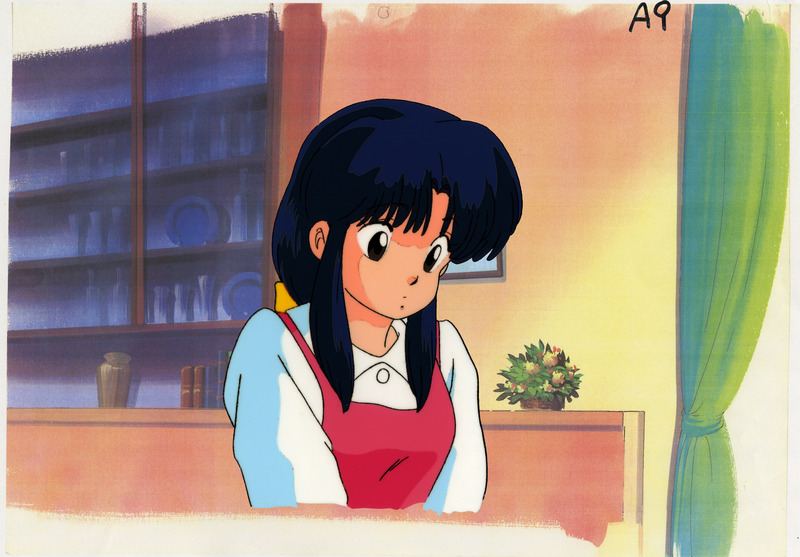 This is one of my favorite Akane cels. 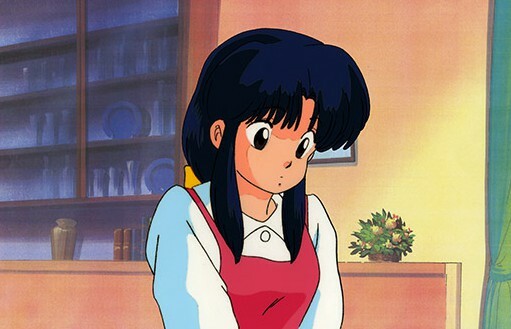 I like the "normal girl" look but I recognize that short hair and a gi are her natural style.